​Hi! I'm Rachel Windham. ​I'm an author who is obsessed with God and family. Thank you for checking out my Pen of Praise website. My blog, Tips & Tidbits, lets you follow the ramblings inside my head as I post each week. The Freebies and Fun section offers an easy-to-follow Bible study, among other delightful goodies. My honey-bunny and kiddos are on the About page if you'd like to meet them. Curious about what I've written? My BOOKS AND GREETING CARDS are below. 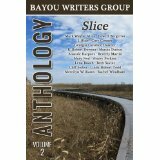 Keep scrolling to get the scoop on each book and to find your favorite method to make a purchase. If you are looking to purchase toxic-free hair care products that have clinically proven results for all hair care needs, then click the Monat tab to head over to my Monat website. The Section 5 Group Page will keep you informed about Livingway Section 5 events and connection opportunities. Other pages will let you know what's been happening, what I'm working on, and what I find interesting. I'm glad you visited Pen of Praise. I hope you'll come again as I am always adding new products, freebies, and info to the site. Faith Walker: An Inside Look at Octavia Hickman's Walk of Faith. Little C is having a very bad day! Can the power of words turn things around? I Pray is an 8.5" X 8.5" paperback children's book. Meant to be a read-aloud, it is ideal for teaching preschoolers and young readers the simplicity of prayer. The book contains a mini Bible study, a keepsake record, and an interactive element. The companion coloring book, I Listen, is listed below. I Listen is a companion coloring book to the book I Pray. Although its black and white interior is designed for coloring, the story itself is able to stand alone. Tool Tales is a cartoon story of a group of tools who have various responses to being used by the carpenter. Readers will enjoy the play on words even as they learn about keeping a good attitude and serving others. Contains Bible lesson, personal application, and activities. 3rd-4th grade reading level. Riding the worker train with her wealthy parents, Jillian anticipates the thrill of the Wild West. However, when trouble arises on the rail lines, she finds the real adventure is uncovering the secrets of the laborers-laborers who are not as they seem. Not As It Seems contains a historical summary, vocabulary words, Biblical parallels, Bible study, and discussion questions. It is an inspirational and educational read. Sixth grade reading level. ​A Kingdom to Call Home ​is a family devotional book. The hard cover book, written in juvenile language, contains colorful pictures to inspire picture book lovers. The story is an entertaining tale for young listeners or early readers, yet it is also symbolic in nature. Its symbolism parallels the redemption story. This aspect of the book appeals to older readers. The book contains a mini Bible study, discussion questions, and family activity suggestions. It is the perfect tool for a fun and meaningful family night experience. This book is not sold in online stores. Limited supply. Untangle emotions, actions, and thoughts to reveal your belief system, and discover the power of believing the truth. Creative Devotions Journal invites you to experience the delight of an intimate relationship with Jesus through daily creative devotions. 8"x10" journal. $10. By a pet lover, for pet lovers. Pure Devotion uses pet anecdotes to illustrate Christian principles. An electronic version is available on Amazon Kindle. a collection of poems, short stories, and testimonials to inspire the spirit. This biography of Octavia Blackmon Hickman showcases one woman's exceptional faith amid the sometimes ordinary, oft adverse, moments of her life. ​31 Days of Focused, Family Prayer is a guide to help families pray targeted, united prayers for one another. Each day includes a verse to pray, a brief note about the topic, and several questions to prompt family discussion and specific prayer direction. On Purpose Creative Family Devotions encourages parents to be intentional! Have fun, meaningful, and educational moments together as a family, all wrapped in planned family devotions. ​Lessons from the Laundry teaches you how to notice God in the routines of your life and how to teach your children to do the same. Fitly Spoken Words is a resource offering personal greetings and Scriptures for most greeting card occasions. Refer to this text to choose "what to say when you don't know what to say." 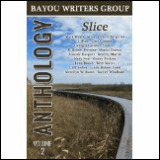 An anthology with contributions from the Bayou Writers' Group authors. Purchase at Amazon.com. .Pen of Praise has released a greeting card line: Halo Greetings. Each card is designed to serve multiple greeting card needs. Photography is by Lisa Hebert Photography. Find more of her work on Facebook. To join my mailing list, subscribe below.